Get outdoors this fall and sneak in a little number fun with your child. 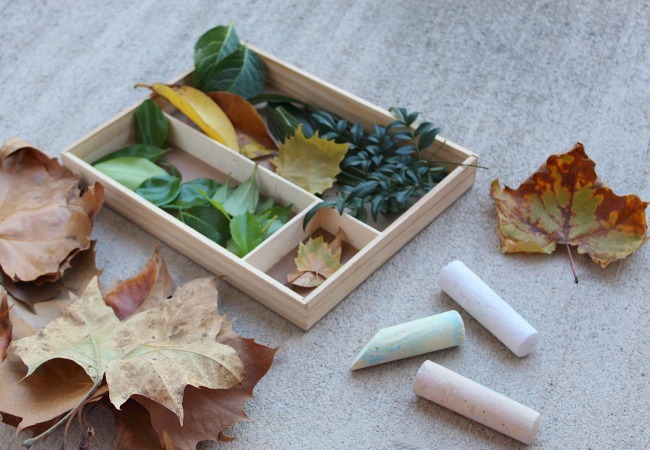 Just takes two items… chalk and leaves to create this chalk number game for fall. Here’s how you can play this number game with your preschooler. The weather hopefully is starting to get a bit cooler where you live and you’re enjoying fall walks together . One of our favorite things to do is get out the chalk for sneaking in a little learning with sidewalk chalk . Although were in Florida and it’s still a bit warm you can begin to see a few trees changing, including our sycamore trees. Plus this math game works with any type of leaf fall or even fresh and green. 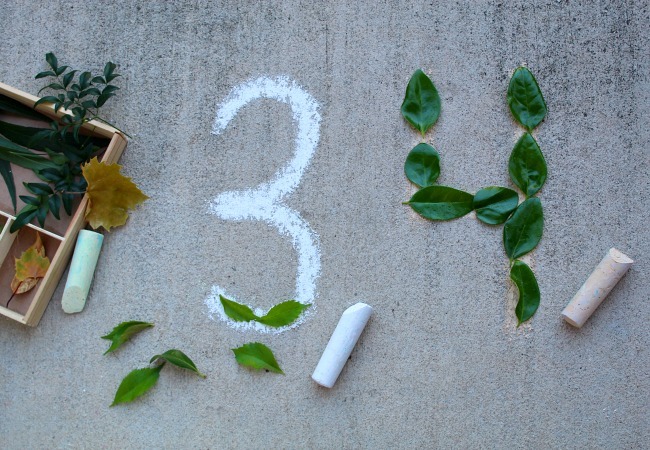 Here’s how to set things up for this fun chalk number game with leaves. Heres how we created a fun Number Activity with chalk. You could make this a number recognition game for younger kids or you could even turn it into an addition or subtraction activity or for the oldest a multiplication game. The concept is to simply have hands on experiences with counting and items from nature. Here’s what you need to play. 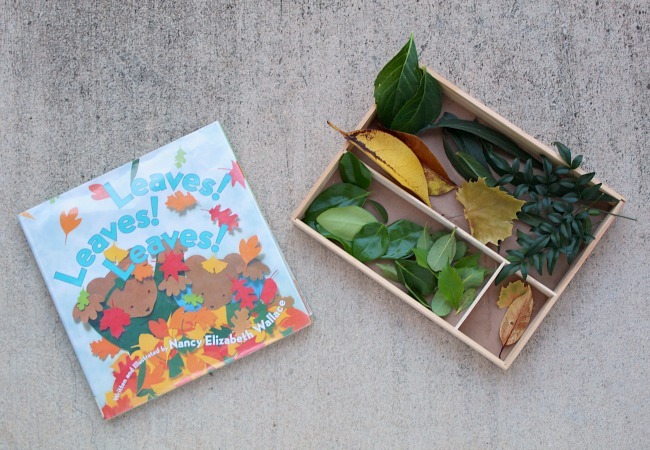 This week we’re featuring leaf activities for our Virtual Book Club for Kids. So we read the book Leaves, Leaves, Leaves to get things starts for this activity. 1. 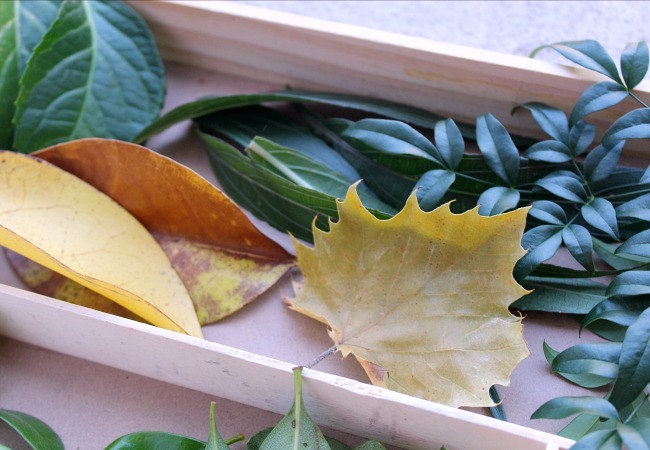 Go around your outdoor space to collect leaves. This activity can be done any time of year but it’s especially fun to do when the leaves are beginning to change for fall. Be sure to find all types of leaves, makes for more interest plus you can talk about the shapes and colors of leaves as you’re collecting them for a vocabulary experience in science. 2. Write the numbers 0 to 10 on the sidewalk or driveway with your child. For younger ones who are working on number writing skills you can create number cards that they an copy from. Or you can write it lightly on the sidewalk and then have them trace over with darker lines. Really focus on the proper way to form the numbers as they are writing. Watch this video from Jack Hartman for a song about how to write numbers. 3. 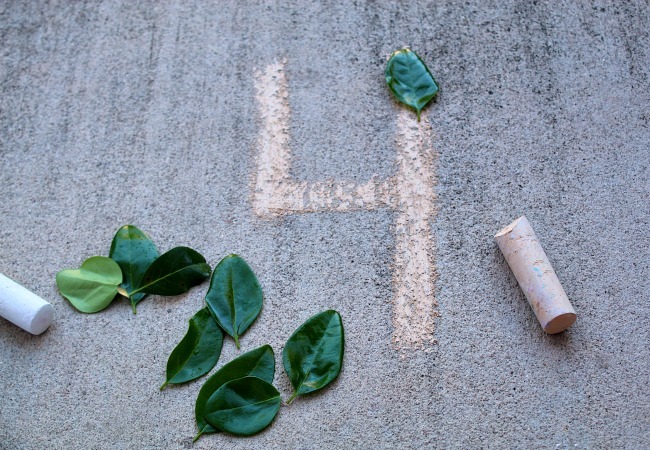 Add the leaves you’ve collected onto the chalk numbers to focus on how the number outline looks for each number. I would encourage them to fill the the SAME direction as how you would write the numbers. Remind your child top to bottom. *note my picture does not show this which made me realize it was important as I wrote up the activity. If your child is just learning this can make such a difference in their number writing skills. 4. Once you have all the numbers written from 0 to 10, you’ve created a number line! 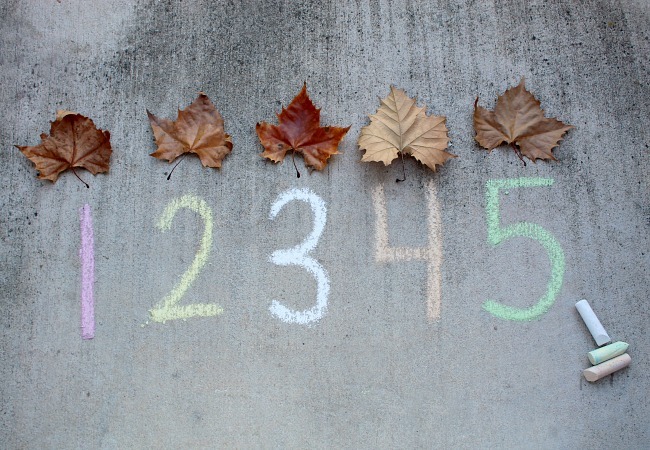 Now encourage your child to count their leaves and place them one by one on the numbers as they count out loud. This is helpful for learning one to one correspondence and number recognition. This number game can work with acorns or pine cones. You could even use shells, rocks or sticks to play too. 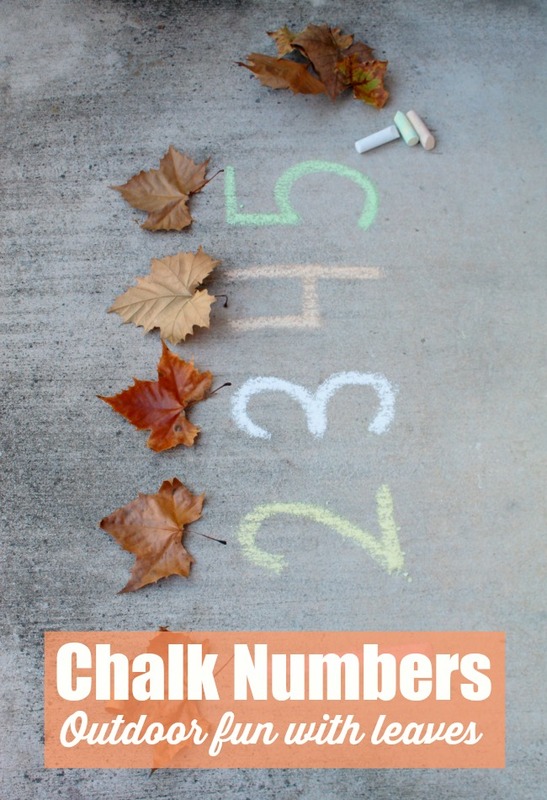 Have fun outdoors running around and exploring what’s happening and then create a fun number game out of it with chalk. 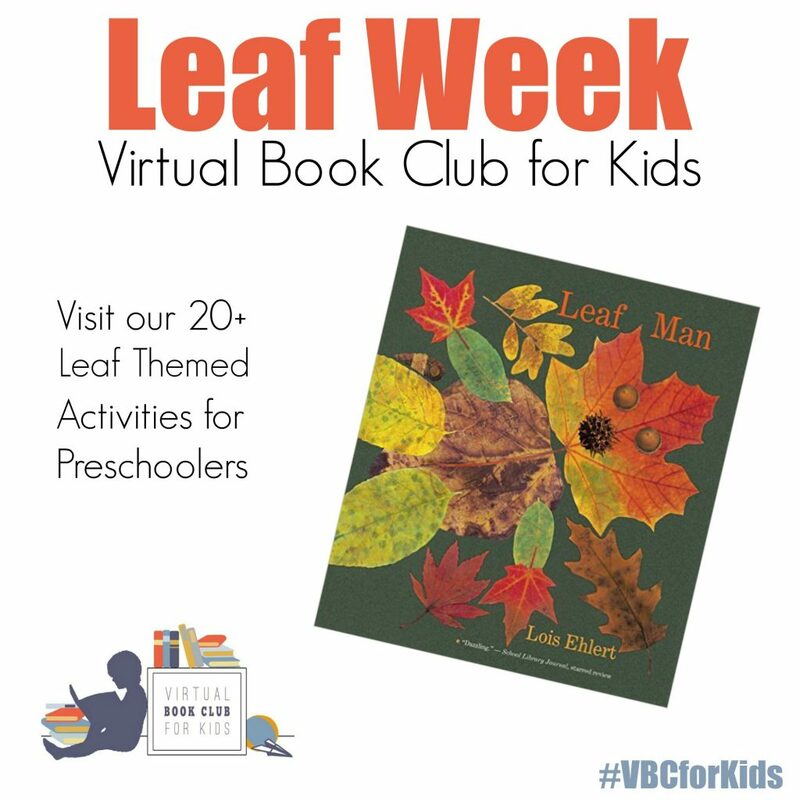 For more leaf themed activities go check out our LEAF WEEK for the Virtual Book Club for Kids. Looking for more ideas like this math game for kids? GRAB A COPY of our new book 100 Fun and Easy Learning Games for Kids! This is such a creative idea for kids to learn and the way you have explained this is very easy. I’m sure it’s a great learning idea.